We would love for your to join us! Please call the office (727) 541-4447 for more information. Share A Little, Help A Lot Ministry which works with many agencies, such as but not limited to: Pinellas Hope, Safe Harbor, Prison Ministry (Chris Raleigh), and Tent City. Please give our office a call about these emergency homeless shelter and a jail diversion programs designed to be a safe haven for those currently homeless and who require services to get back on their feet. His Heart Society is a lay organization at Sacred Heart Catholic Church in Pinellas Park. Helps financially with utility bills, rent, etc. Phone workers volunteer one particular set day per week and take recorded messages left by those in need from our phone messaging system. Then return calls to those asking for help. Each request is analyzed and verified for parish member, if previously helped, appropriateness, and budget constraints/amount and availability of funds. If all is verified then client information is released to the Home Visit team. 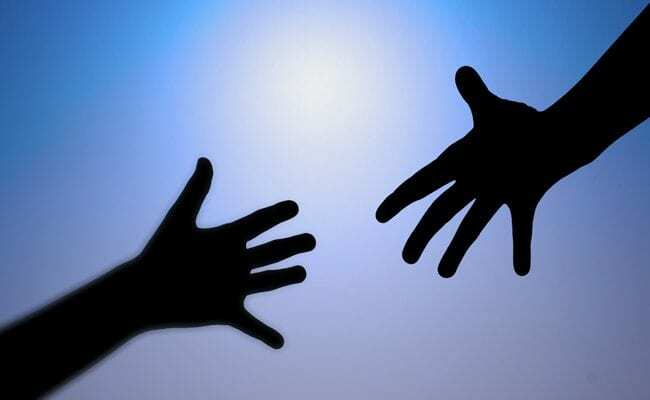 Face to Face with individuals to assess their needs and the appropriateness of our help. Our volunteer Home Visitors work in pairs, usually a man and a woman, to offer additional services, and to pray with them. Collects, sorts, stocks, distributes food, drinks, and other necessities. The pantry is open Tuesday and Thursday on the west side of the Church Parking Lot from 9 am to 11 am. Distributes food collection bags at doors of Church in mid-November. Collect food donations the following week. Pack giveaway bags the Saturday before Thanksgiving. Give food bags to registered clients the Sunday before Thanksgiving. Similar to the Thanksgiving Day process but also includes sorting donated toys by age for easier “shopping” by registered clients; usually the weekend before Christmas. Collects money donations from our generous parishioners at our church doors/Poor Boxes, to help us continue our important ministries. Receives and packs donated food items from postal patrons at the Pinellas Park Post Office. Then transports our portion to storeroom at the Church; usually in mid-May. Later, the food is carefully sorted by type and placed on our shelves. Fundraiser in a “walk/run” to raise awareness and money to help the poor. Sponsored nationally by the Society’s headquarters in St. Louis and usually conducted in September at Lake Seminole Park. Members gather pledges and walk to raise money for this cause. This ministry enables Sacred Heart Pinellas Park Catholic Church to reach out to those registered parishioners who are homebound and want to participate with in the celebration of Holy Mass. Volunteers provide transportation to and from weekend and Holy Day Obligation Masses throughout the year to these parishioners. Free English Classes We would love for your to join us! Please call the office (727) 541-4447 for more information and/or contact Jill Spanheimer, jillspanheimer@gmail.com. Sacred Heart Parish is offering free English lessons for speakers of other languages. Those who speak little or no English are welcomed to attend. You do not need to be a member of Sacred Heart Parish to participate. Training is provided. Everyone is welcome! There is no charge for classes or material. Experience one on one tutoring with caring facilitators. Instruction is tailored to your individual needs, from beginner to the more experienced individual. Meet new friends on this journey to understand and speak the English language. 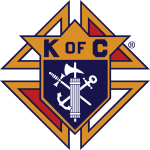 The Knights of Columbus (KOC) is a fraternal organization of Catholic men dedicated to the ideals of charity, unity, fraternity and patriotism. Membership is open to practicing Catholic men who are over the age of 18. Founded in 1882 by Father Michael McGivney at St. Mary’s Church in New Haven, Connecticut, the Knights of Columbus contribute to our local and universal Church, community, and charitable organizations. The Knights of Columbus chapter here at Sacred Heart contributes to bingo, church landscaping and grounds, sponsors a Tootsie Roll Drive once a year to benefit local charities, fish fry during Lenten season, and periodically has a pancake breakfast in the Parish Center and other events. Every Wednesday 12-2:30 pm. Doors open at 10:30 am and fresh food is available until 12:30 pm. KOC off-site Bingo is available every Sunday at 7177 – 58th St N, Pinellas, FL. Doors open at 4 pm. Meets every Monday after the 8 am Mass (8:30-10:30 am) in the Marian Room behind the main sanctuary altar and provides many services to the community, including those in nursing homes.